Chinese New Year 2012 is the Dragon Year, that brings lucky blue, black and golden Feng Shui colors and Chinese symbols of a dragon into homes, attracting wealth in 2012. Red clothes that look festive and bright are traditional for lunar New Year celebration in China, but wearing new clothes, enjoying great food and making wishes are the most important. Chinese New Year celebration, or Asian spring festival, is symbolic and unique. Dark blue, deep green blue, black and gold are the color symbols of the Dragon Year 2012, but you can select any Feng Shui color for Chinese New Year celebration, interior decorating and clothes, that add harmonious and pleasant accents to your home and improve your mood, Chinese Feng Shui experts say. Feng Shui colors bring harmony and balance into people life, creating a stimulating environment that supports and energizes. If you select interior decorating colors for your home or favorite colors for your clothes which harmonize your personal life with the surroundings, you create a favorable environment which attracts good luck and health to your home. 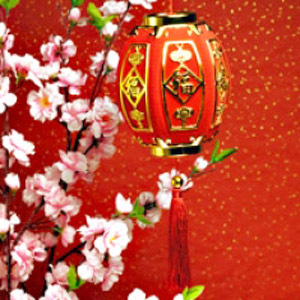 Trust your intuition, and put on clothes in your favorite colors or use Feng Shui colors for decorating your home for lunar New Year celebration, which look pleasant, attracting wealth and success in 2012. The optimistic interior decorating, new clothes, tasty food and happy atmosphere of Chinese New Year celebration are the most important. Favorite colors strengthen people, harmonize interior decorating and amplifies pleasant feelings, Feng SHui practitioners teach. Clean and prepare your home for lunar New Year celebration, thinking of your desires and plans, and all your dreams, supported by the most powerful energy of the spring festival, will come true, Chinese Feng Shui experts say. 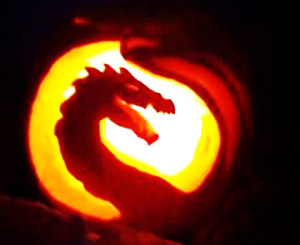 Chinese symbols and Feng Shui colors that symbolize the Dragon Year help connect with the Universe and concentrate the power of the positive energy, flowing through your apartment or house in 2012. Feng Shui your home with Chinese symbols, use Feng Shui colors for interior decorating, cook or buy Chinese food and create a personal message to the Universe, attracting positive changes and success. Chinese symbols and Feng Shui colors generate the energy which attracts good luck, health and wealth to your home. Chinese symbols and Feng Shui colors activate the positive energy flow, creating better life and helping to find the balance and inner peace. Feng Shui masters suggest to choose Chinese symbols which are personal and meaningful. Chinese symbols and Feng Shui colors are very effective and work well for improving people life, as Chinese culture has proved over thousand years. 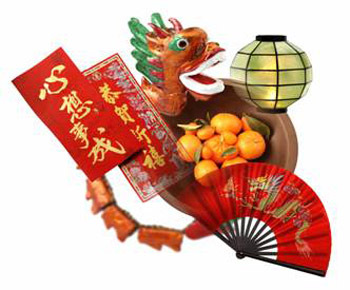 Personal and meaningful symbols, favorite colors, selected for Chinese New Year celebration, wonderful food and traditional decorations help to start a happy cycle and create an attractive image which invites wealth and success into your home. Festive food, traditional decorations and happy atmosphere make Chinese New Year celebrations wonderful and unforgettable. Traditional Chinese symbols and Feng Shui colors bring balance into interior decorating and create peaceful and pleasant rooms that help to rejuvenate and relax, enjoying positive changes.